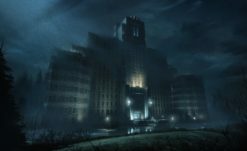 While it’s only been a few days since the announcement of VTM: Bloodlines 2, there’s already a stack of information regarding it that we haven’t gotten to cover yet. I’ve been trying to collect everything I can to make this post, but every few hours it seems so another bit of news drops and makes this post just that little bit longer. I’ll break this down into bullet points so it’ll be easier to figure out what’s what. There are talks about it but nothing is confirmed yet. We will let you know as soon as there is news on that. You can always cancel your pre-order if you decide to go for a different edition though. Being considered is a good sign, so I’m hoping that those talks can manifest into something we can see soon. I’d love to see a statue of the cover art Kindred on the Ferris wheel or like a rad The Asylum vest or something. I uh, I’m really new at PC stuff so I don’t honestly know what any of that means. But CJ told me to copy and paste this: “It will support Nvidia’s latest feature set available through their RTX series GPUs, for (ostensibly) better visuals through realistic lighting and performance”. So that’s cool. Even the original Bloodlines has one of those “Nvidia: The Way it’s Meant to be Played” stingers on launch, and RTX ON is a meme going around the PCMR subreddit. Whatever it is, I’m sure it’s very cool. 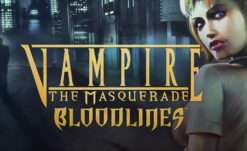 Suffice it to say, a huge part of the reason Bloodlines even has the cult following it does is due in large part to it’s dedicated and loving modding community. The Fan Patch alone makes massive, literal game-changing improvements to the experience, from ironing out bugs, reincorporating cut content, and adding new effects and visuals that the 2004 game wasn’t capable of originally. The modding scene has been indescribably important to this game, so it makes sense that Bloodlines 2 would follow suit. With the benefit of the upgraded technology (and presumably, a more stable engine and design than that original game) creates an already exciting amount of anticipation for what the community could be capable of. Just look at Skyrim, a game fast approaching its tenth anniversary, still getting game sized expansions entirely thanks to the active modding community. With that level of love, fans could turn Bloodlines 2 into a world that stretches on into infinity, content-wise. And I am very cool with that. Protagonist is not voiced. I generally find that even with options to pick your voice, players never find a voice that fits the character they created. And yeah, it’s a massive expense when the PC character has thousands of lines. 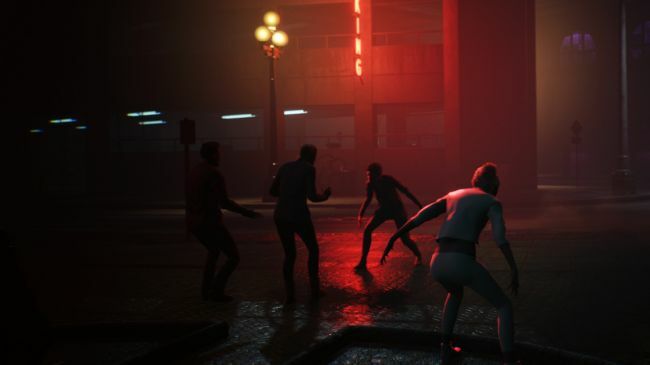 A rather robust and active hub world, with tons of people roaming the streets or otherwise going about nighttime activities (waiting outside nightclubs, being mugged in allies, etc) — the original Bloodlines attempted this but it largely came off like the same 5 people copy pasted and wandering around in circles. We have the ability to scale buildings, opening up an entire third level to the hub world (Bloodlines 1 had both a street-level hub world and a sewer level sort of hub, so a rooftops one feels like a natural expansion). The idea of using rooftops to stalk prey as they wander into dark alleyways or otherwise off the beaten path is exciting — like playing as a bloodthirsty Batman (you know like BvS). Combat is more involved, and flashier — camera pullbacks and slow-mo emphasize an otherwise fast-paced and melee driven combat design. Using both your claws and a set of melee weapons, we can boost our attacks with vampiric powers. The pre-animated trailer made combat look similar to a supernatural take on Dying Light’s combat, which is a good sign. 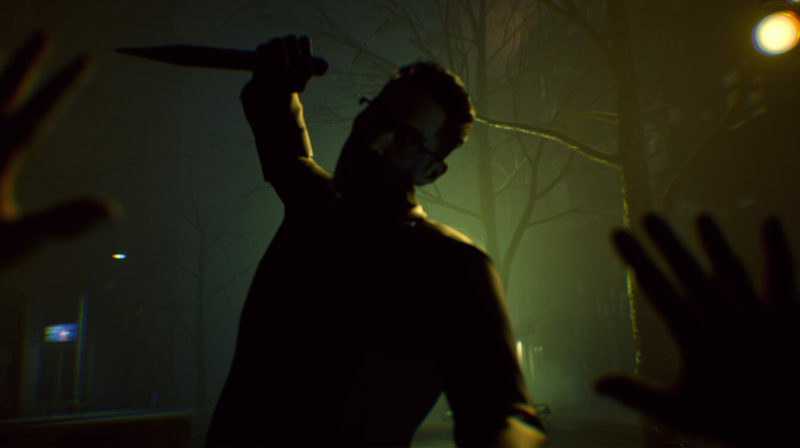 The original Bloodlines suffered from weak “click on the thing until it dies” combat that was often a source of frustration (especially as invincibility frames came into play when an enemy was knocked down). Guns also exist but are now more like Condemned: Criminal Origins‘ firearms — useful until out of ammo, and then discarded. The player will be taking the role of a thin-blood, without any clan affiliation (yet), embraced during a mass attack. Choosing the kind of Kindred you wish to be will be natural and a response to your choices, as opposed to the questionnaire (or simple character creator) at the original Bloodlines‘ outset. This leads into a side quest where you can track down all the other thin bloods turned in the mass embrace, and explore how each are coping with being a vampire now. Some may have grown into their new form naturally, other struggling with their original life now being forced to end due to the Masquerade — and I’m betting you can either be a helping hand, or a cruel enforcer. The new resonance ability (which allows you to also feed on a human’s emotional state, rather than just their blood) is shown visually with an aura, and various emotions can grant you temporary buffs — or if you feed on one type in excess grant you merits that “greatly affect what players can do”, although that wasn’t elaborated on further. That’s about it — for now. 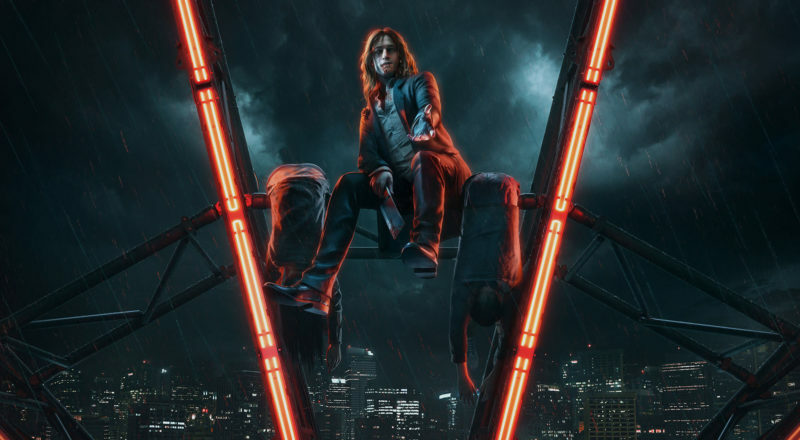 We’ll be keeping our eyes open for any more news regarding Bloodlines 2. 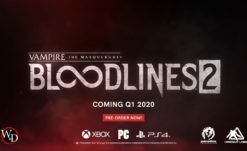 Of course, if you’re hype like me, Vampire – The Masquerade: Bloodlines 2 releases Q1 2020 across PC (Steam/Epic Games Store/GOG/etc), PS4, and XBO.